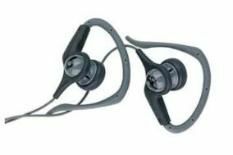 Skullcandy Chops review | What Hi-Fi? We struggled to achieve a satisfactory fit with the Skullcandy Chops, as the buds sit slightly too far out of the ear. This makes the delivery a little vague, compounding the fact that these headphones already sound a bit woolly. Still, they have a stab at reproducing the frequency range and vocals come through fairly clearly.